The summer is over. And while our children are begrudgingly heading back to school, many of us begin the tedious chore of packing them nutritious, tasty and nut-free lunches and snacks. In years past, the simple and yet satisfying classic peanut butter sandwich might have been a welcomed staple in our lunchboxes. But times have changed. And unfortunately due to the peanut and nut allergies that afflict some children today, most schools have implemented a peanut-free policy. Many schools have also banned tree nuts such as walnuts, almonds, pecans, hazelnuts, cashews, pistachios and pine nuts as well. Today, with approximately two per cent of children diagnosed with a peanut allergy, these school restrictions are important and help to keep them safe. However, it has made it more challenging for parents trying to pack an interesting and protein-rich lunch or snack, especially if their children are picky eaters or vegan. Fortunately there are other alternative butters made from a variety of seeds and legumes that are delicious and most importantly, safe substitutions for nuts or peanuts in most schools. They include: pea, hemp, sesame, sunflower, pumpkin and soy. These seed butters are extremely versatile as they can replace peanut butter in the classic PB&J sandwich; be substituted in a 1:1 ratio in a peanut butter cookie recipe; or blended into either a sweet or savory dip for cut fruit or vegetables. Although seed butters are often an acceptable lunch item, it is important to know that each school has its own list of banned foods dependent on severe allergies present. Furthermore, to avoid any lunchroom misunderstanding, it is a good idea to put a sticker on your child’s lunchbox or sandwich container identifying the type of seed butter used and verifying that the lunch is in fact peanut-free. Seed butters pack a nutritional punch offering a good plant-based protein source (4-8 grams per 1/4 cup). They also provide many different minerals such as manganese, zinc, magnesium and copper; heart healthy fats and vitamins such as E and various B vitamins. Widely available at large grocers or health food stores, seed butters can be found in either toasted or raw forms. The less processed raw varieties generally offer higher levels of the heart healthy fats. But whichever type you prefer, look for a brand with minimal sugar, stabilizers, additives and processed salts. While there are many great selections of seed butters available for purchase, making them at home is not only super easy but much more cost effective too. And as an added bonus you can tweak any recipe to suit your child’s personal taste preferences or diet restrictions. 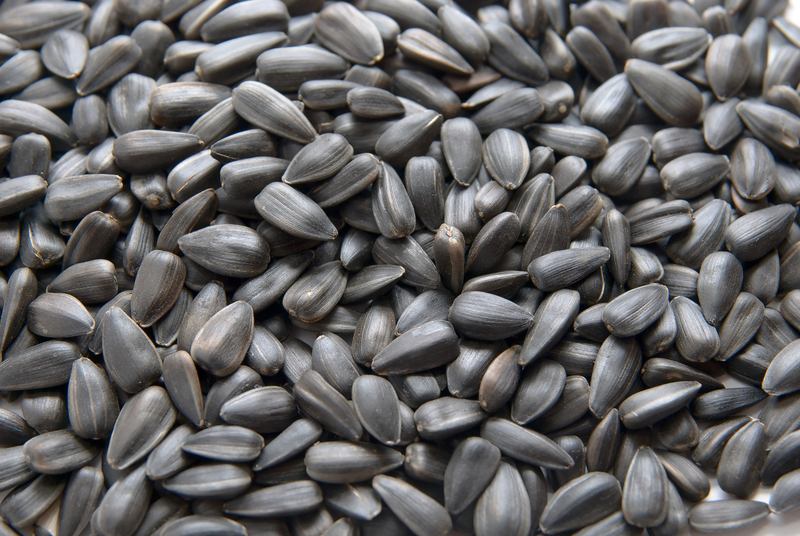 Toast raw sunflower seeds in a single layer on a pan in the oven at 325 degrees until lightly brown- about 10-12 minutes. Remove from the oven and let cool slightly. Place the seeds in a food processor. Using an S blade, blend at a high speed until butter is formed. Once it is creamy add in the coconut sugar, sea salt, vanilla and coconut oil and blend until super smooth. Spoon the spread into a jar and store in the refrigerator for up to one month. Enjoy!